What does your child learn at school each day? Find information about our curriculum subjects here! We follow the National Curriculum, which was revised in 2014. This document outlines the content taught at each year group or Key Stage. If you require any further information about our curriculum, please contact the school office. Read about our exciting curriculum and approach to teaching and learning here! To show our commitment to an engaging and vibrant curriculum, we have created a visual guide for pupils and parents. 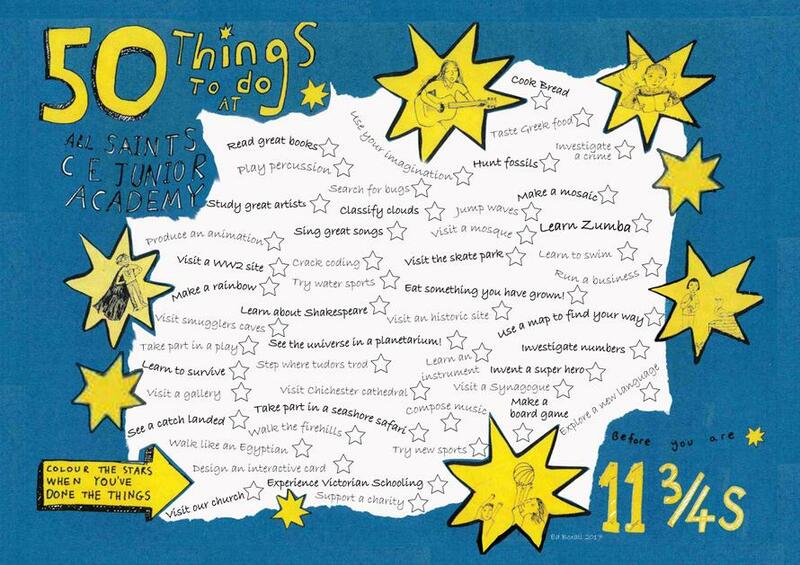 Here is our '50 Things to do at All Saints CE Junior Academy Before you are 11 3/4s'.